From last week’s craft room tour, you may remember the paper rosettes hanging on either side of the window. They were a last minute addition, but I’m so glad I took the time to make and hang them–they add such a fun, creative element to the space, don’t you think? 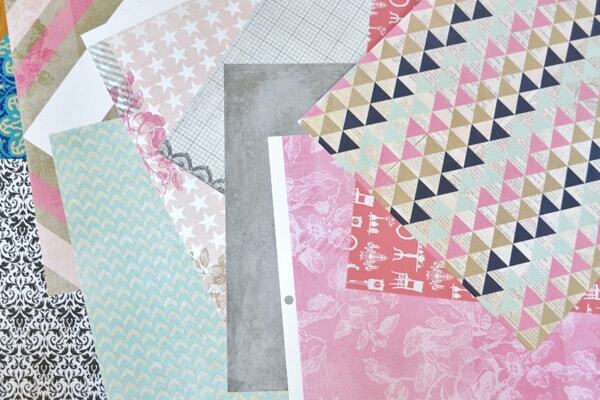 Step 1: Choose your scrapbook paper (I went with shades of pink, blue, gray, and black and white). 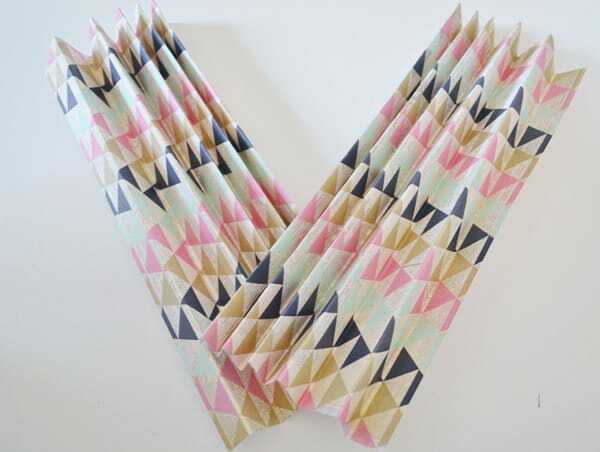 For each rosette, three sheets of scrapbook paper is ideal, but you can get away with two sheets if you’d like (I’ll show you the difference between using two or three sheets later in the post)! 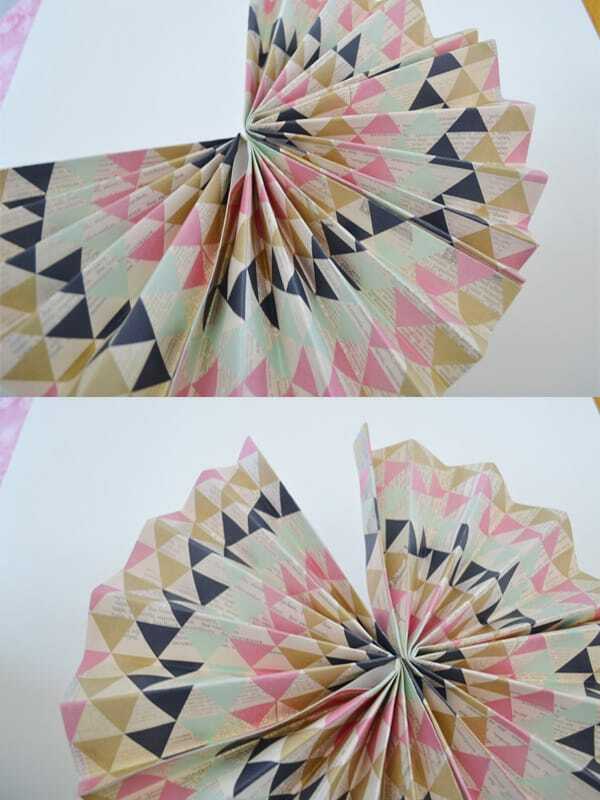 The tutorial below shows a rosette created with two sheets of paper. 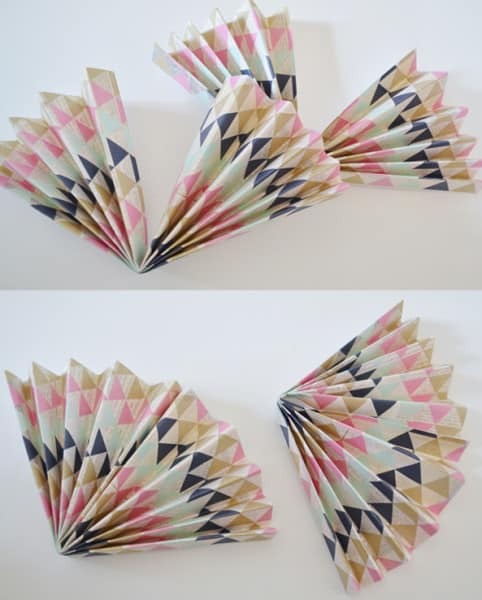 Take each sheet of scrapbook paper and fold it accordion style. Step 3: You’ll now need to take your two (or three) fan-shaped pieces and hot glue them together to form your rosette. First, lay your two pieces side by side, take the ends where they meet, and hot glue them together (as in top picture below). Once secure, open each side of the rosette until the sides meet again (see second picture below), and hot glue them together. And that’s it! You can see the difference between using two sheets of scrapbook paper and using three sheets in the picture below…the black and white one used three sheets, and is therefore a bit fuller than the striped one below it with two sheets. Thanks for reading all about my paper rosettes! Have a crafty day! I love these! I just found you through Tatertots and Jello. 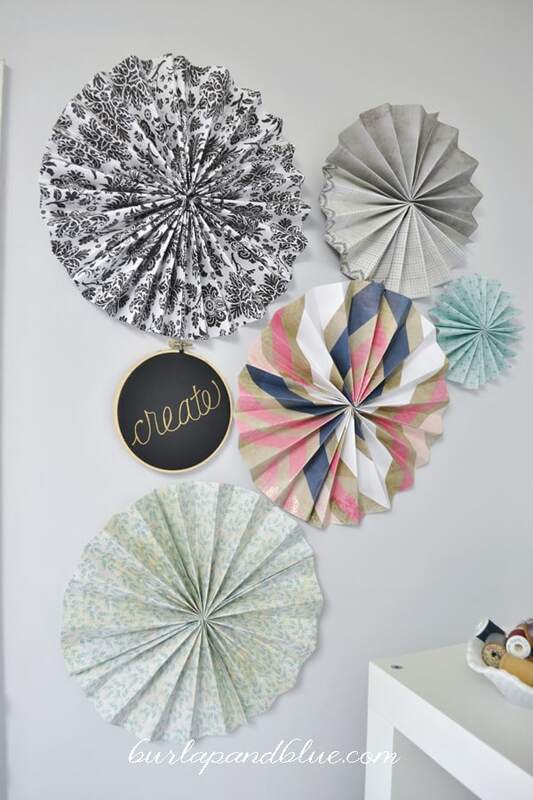 I can’t wait to make some paper rosettes myself. Thanks so much for the tutorial! Have a wonderful weekend! 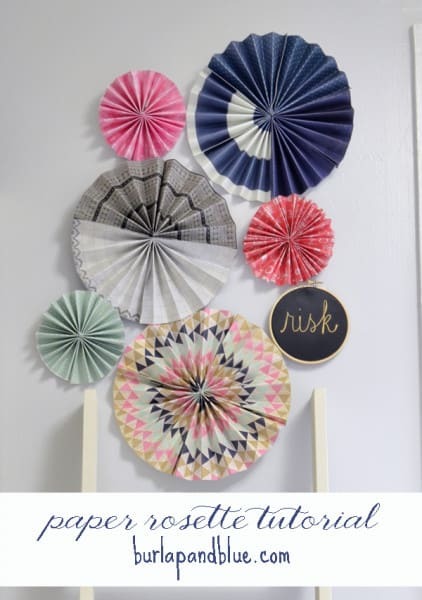 These rosettes are so sweet and are just what I’m always looking for when planning parties for the family. Thanks so much for sharing your tutorial! 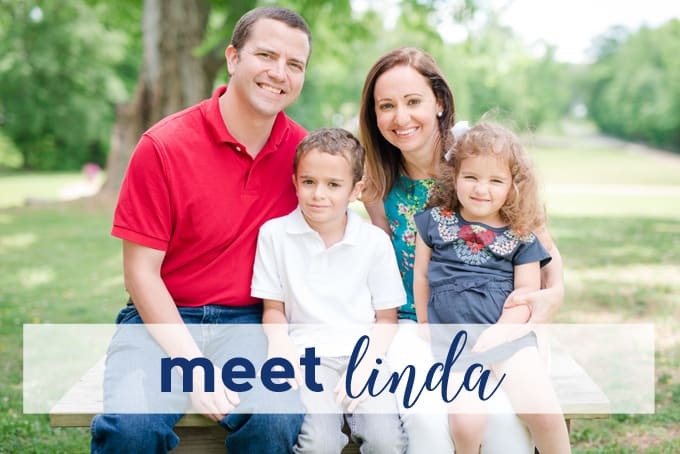 I’d love it if you could pop over and share with us over at Tell it To Me Tuesday!